New Moon in Aries - Rosh Chodesh Nissan - It's Superhero Time! After swimming with the fishes for not just one but two Adars this year, now we're turning the Cardinal Corner as Rosh Chodesh Nissan rushes towards us this week. 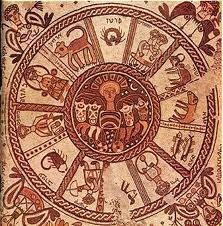 Nissan is the 1st Month of the Astrological Calendar and corresponds to Aries, to the Tribe of Yehuda, to the Planet Mars. Aries is the Cardinal (Initiating) Fire Sign. At this time the Sun, Moon and Uranus are all Conjunct in Aries - it's Superhero time! Don't forget your cape and your tights. You're going to need them. Any Planet that finds itself in a Conjunction (within 3 Degrees) of the Sun and Moon is super-super strong. Uranus/Sun in Aries is the liberation of the personality, Uranus/Moon in Aries is the liberation of the emotions - when they all happen together one can expect fireworks. This Conjunction demands recognition and affirmation of one's own individuation and should anyone negate that, sparks will fly - or maybe entire neighborhoods will be torched. The Cardinal Signs are all in play - Cardinal is Initiating Energy, all four of the Cardinal Signs (Aries, Cancer, Libra and Capricorn) are about starting something. Right now, all four Cardinal Signs are having a role to play here. 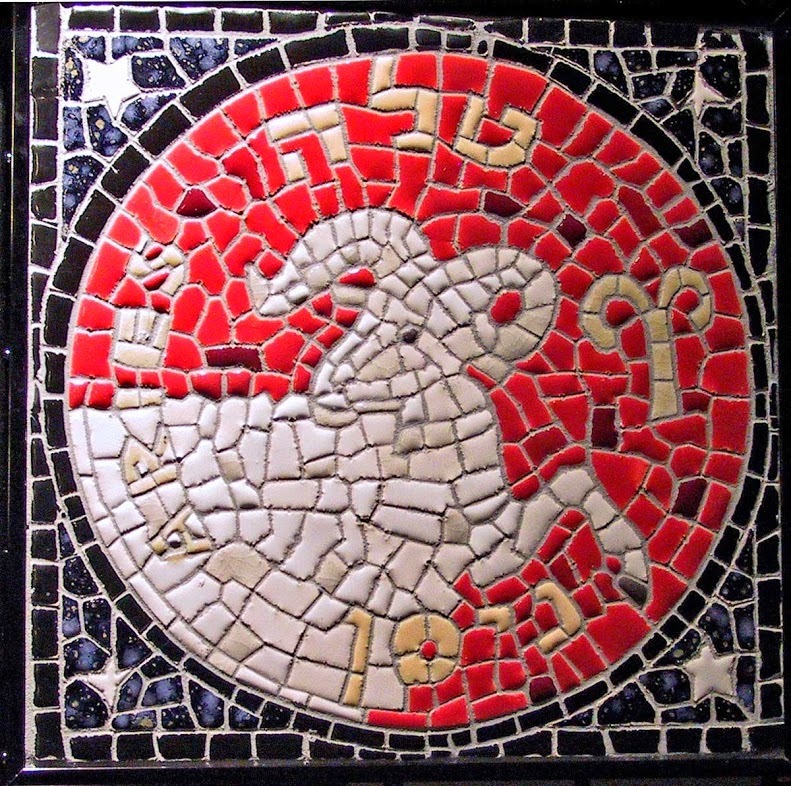 Aries is Cardinal Fire - Initiating Inspiration. The Sun, Moon and Uranus are Conjunct in Aries. Squaring (at a 90 Degree Angle) this Triple Conjunction is volcanic, suppress-until-explosion Pluto in Cardinal Earth Capricorn - Initiating Manifestation. Opposing Pluto (and thereby Squaring the Sun/Moon/Uranus Conjunction) is gigantic Jupiter (who has to blow up everything he touches, because after all, he's Jupiter!) in Cardinal Water Cancer (Initiating Security, or as I like to call this aspect, "The Office of Homeland Security in your chart"). Both Pluto AND Jupiter Square the Sun/Moon/Uranus Conjunction (and oppose each other). Squares are generally corners and you can't see around a corner, that's why Squares are considered difficult angles in Charts. Pluto in Capricorn wants to control resources, Jupiter in Cancer is afraid of shortages. These opposing energies make a "corner" (Square) around which the intense, bright light of the Sun/Moon/Uranus Conjunction in Aries wants to inform with raw courage. There's been way too much fear lately. This is the time to take a big leap forward in consciousness and understand that your material world, your resources, your sustenance, your security, everything you've been hoarding or saving is really NOT what keeps you safe and wards off thoughts of deprivation and darkness. No, not at all. Neither your control over others nor your valiant attempts at self-control is really working without the missing link - faith. It's faith in G*d and most of all in G*d's vision for YOU, that is going to get you to put on that cape and those tights and attempt to jump tall buildings in a single bound. Because right now, you CAN overcome the forces of doubt and darkness. Wear red, laugh a lot, let your Inner Child order your food and make your entertainment decisions. That dream you've been dreaming but not telling anyone about? Time to take it out of the closet and into the streets. Start the day by thanking your Creator for making you YOU. You're the only one who can live the story of the heroic journey of your soul during this lifetime - make it yours, and only yours, with all your strength. Chodesh Nissan Tov! Our Redemption is close at hand! Go With The Flow - But Where Are You Going? And What Will You Do When You Get There? It's been a big week for WATER SIGNS! It's common Kaballistic knowledge that the 12 Signs of the Zodiac correspond to the 12 Months of the Hebrew Calendar as well as the 12 Tribes of Israel. We're currently almost halfway through the Month of Adar (actually, the SECOND Month of Adar, as this Hebrew Year of 5774 is a Leap Year, necessitating the addition of an extra Adar). Adar corresponds with Pisces, the Mutable/Transformative Water Sign. There is nothing more "watery" than Pisces, their symbol is two fish swimming in opposite directions, seemingly oblivious of each others presence. Pisces urges us to "go with the flow" more than any other Zodiac Sign, and both the "modern" Planetary Ruler of Pisces - the Planet Neptune, and the "traditional" Planetary Ruler of Pisces - the Planet Jupiter - encourage us to DREAM BIG. This week the Planet Saturn ("Shabtai" in Hebrew, the same root as the word "Shabbat") stationed Retrograde in the Fixed/Establishing Water Sign of Scorpio. Saturn brings structure, boundaries, borders, edges, organization and the "Gevurah" energy as a counterpoint to the Sun in Pisces. Saturn in Scorpio asks: "Go with the Flow? Where are we going? How will we get there, and who is paying for the trip? What are we going to be doing once we get there?" This week the Planet Jupiter ("Tzedik" in Hebrew, the same root as the word "Tzadik" meaning "righteous person") stationed Direct in the Cardinal/Initiating Water Sign of Cancer. Jupiter expands everything it touches, and Jupiter in Cancer expands the energy of nurturing, growth, security, and ambition. Jupiter in Cancer chimes in chorus with Saturn in Scorpio - "Go with the Flow? Trust the Flow if it's sustainable, positive, nurturing and true to your heart!" This Trine of Triple Water energies in the Sun, Saturn and Jupiter create a real energetic opportunity to change in sensible, sustainable and structured ways that can be positive, growth-oriented and bring light into this world. Use that energy for good! 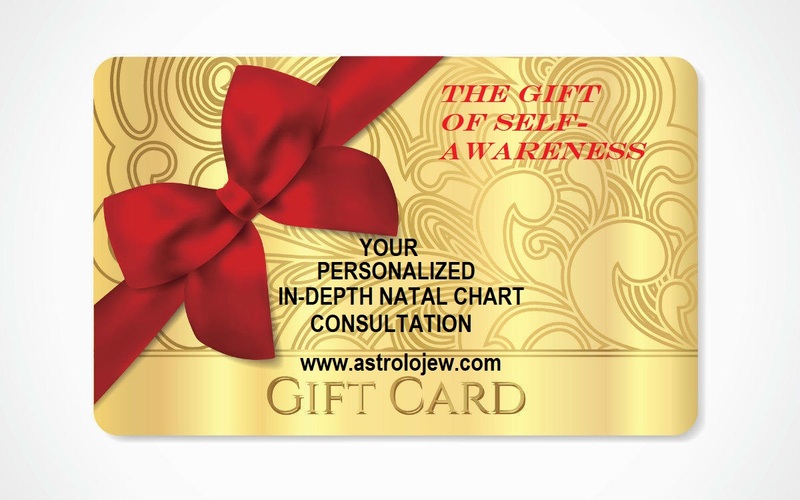 Everybody has a natal chart, with all 12 Signs represented. If you're reading this and wondering where the Water Sign Trine is happening in your chart, and how it relates to you personally, please be in touch.